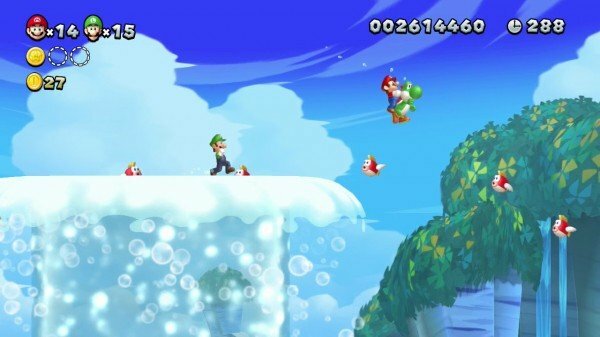 Mario’s statuesque brother will once again get his due this summer, when Nintendo releases its previously revealed New Super Luigi U DLC for New Super Mario Bros. U. That news was announced this morning during the company’s livestream Nintendo Direct presentation, though an exact North American release date was not given. Japanese gamers, on the other hand, can expect to assume the role of the green clad plumber sometime this June. Going further, it’s important to note that Luigi will, in fact, be able to out-jump his portly brother. Additionally, his anticipated add-on is said to include a certain amount of shorter stages, which will offer one hundred second limits. We’ll keep you updated as more information is released.